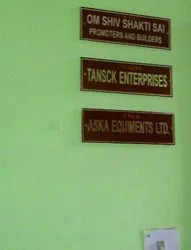 Established in the year 2001, we, “Tansck Enterprises” are a distinguished organization engaged in manufacturing and supplying a commendable array of Safety, Lighting & Solar Products and Fire Fighting System. Our comprehensive range encompasses Aluminum Collapsible Stretcher, Spine Board Stretcher, Basket Stretcher, FRP Chair Stretcher, Foldable Stretcher, FRP Scoop Stretcher and others. Moreover, we also offer Remote Area Lighting System, Mobile Lighting Tower, Economical & Effective Lighting Pole System, Telescopic Lighting Stands, Induction High Bay Lighting, Horizontal Induction High Bay Lighting, Induction High Bay Lighting-Diffusion Type, Induction Built In Lighting, Induction Street Lighting and others. Apart from this we also offer installation and maintenance service for our offered range of products. These offered products that we come up with are uniquely designed and developed by employing advanced technology in addition with cutting edge technology that helps us to garner a huge client base all across the regions. These safety products are highly applauded in the market for its attributes such as fine finish, resistance against abrasion, longer service life and low maintenance. Following quality approaches, we have gained reputation of a quality oriented firm that focuses on providing the patrons with a quality product array that is manufactured by making use of optimum grade raw material that is obtained from the most accredited vendors of the industry. Fabricated under the able guidance of skilled professionals, these safety products are fabricated as per quality standards and norms set by the industry. To bring perfection in our quality, we have setup a sophisticated manufacturing unit that enables us to carry out all the production related tasks in a suitable and sophisticated manner. 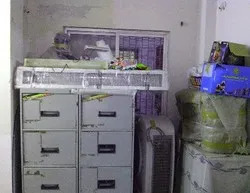 Moreover, to safely store the products, we have a capacious warehouse, which helps in the bulk storage of the consignment in a safe manner. 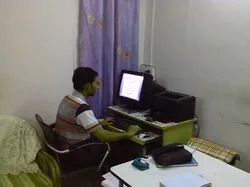 Furthermore, for the convenience of the clients, we facilitate easy payment modes. 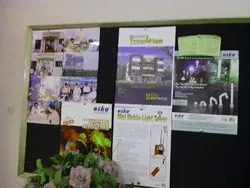 We provide marketing, consultancy and services for the products of Aska equipment limited. Under the able and visionary guidance of our mentor, “Mr. C. G. Kose”, we have been able to attain the most respectable position in this arena. His constant motivation, excellent managerial skills and apt business policies have enabled us to scale to new heights of success over these years. We are a profound firm of this domain, engaged in manufacturing and supplying a huge assortment of Safety, Lighting & Solar Products and Fire Fighting System. Our offered range is manufactured at our premises by making use of qualitative raw material that is obtained from the most certified vendors of the market. In addition to this, this range is quality checked by our patrons on various quality parameters that confirms to the international quality standards. Highly acclaimed in the market, these products are regarded for attributes like high strength, durability and robust construction. We have appointed under us a team of diligent and hardworking professionals who are well versed with their respective fields. An asset to our firm, these professionals imbibe vast industry experience and strive to achieve maximum goals of the organization. Their dedication and hard efforts have so far lead our way to success and growth. Owing to their sincerity, we organize regular training sessions and seminars that helps to keep them updated about the latest technological advancements. We are a renowned organization engaged in manufacturing and supplying a durable array of Safety, Lighting & Solar Products and Fire Fighting System to the patrons. Our firm is involved in manufacturing and supplying a huge spectrum of safety products that are quality tested at our end by making use of industry laid parameters. Owing to the transparent dealings and ethical business policies, we have been able to attain maximum trust and confidence of our customers.